7 Kids and Us: Boulder Canyon Coconut Oil Mesquite Barbeque Chips! 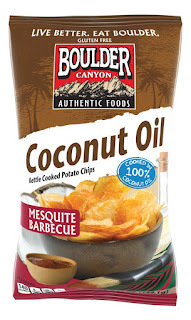 Boulder Canyon Coconut Oil Mesquite Barbeque Chips! BY now, most people know the benefits of Coconut Oil. If you don't, besides being a healthy fat and good for your heart, you can check out all the other benefits here. We have been cooking with coconut oil exclusively for a few years now, and whenever I think of using vegetable oil (soy) I just can't do it. I can't do GMO. 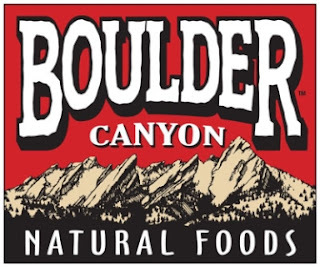 Boulder Canyon Coconut Oil Kettle Chips are NON GMO, Gluten Free, and Kosher Certified. Warning: Tropical snacking experience ahead. 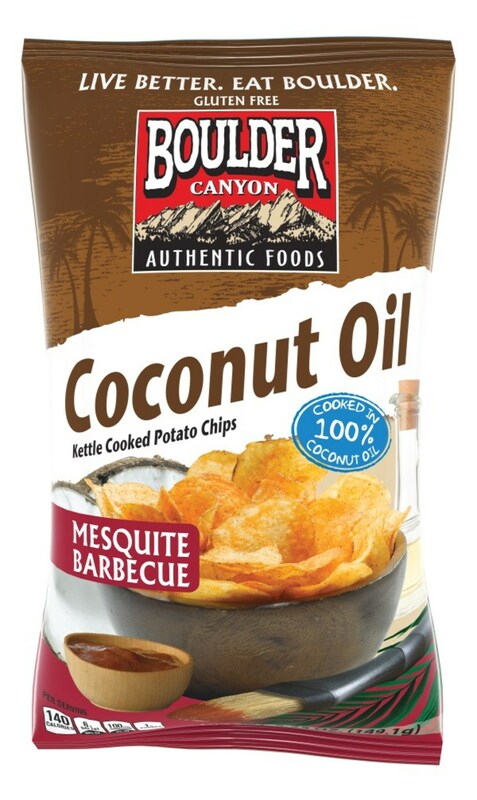 These kettle chips will transport you to a tropical paradise with pure coconut oil and the perfect blend of smoky mesquite barbecue flavor. Do your taste buds a favor, and savor each delicious crunch.